Dan Loeb now has to help Sotheby’s catch Christie’s – not just blast its failure to do so. Christie’s on Tuesday threw down the gauntlet with a record $745 million contemporary art sale in New York. It’s one area of the business where Loeb has criticized Sotheby’s, which holds its rival auction on Wednesday. Though the $2.8 billion Sotheby’s has been no slouch in fields like impressionist art and jewelry, it has lagged privately-held Christie’s in the all-important contemporary category. Last November’s big sales saw Christie’s raise $692 million – including a whopping $142 million for a Francis Bacon triptych – to blow away all previous single-sale records. Sotheby’s only managed $381 million in response, despite snagging $105 million for one Andy Warhol. With this week’s blockbuster sale, including a top lot that set an $84 million artist record for Barnett Newman, the Sotheby’s arch-rival has upped the ante. Whatever happens on Wednesday, though, Loeb now has to spin it constructively. Starting with a broadside last October, he first negotiated and then went head-to-head with Sotheby’s in a proxy fight over directors and in court. The hedge fund boss lost his legal fight over the poison pill the listed auctioneer had put in place, but the company earlier this month invited him and his two other nominees onto the board rather than risk losing a shareholder vote. Loeb will surely have ideas about what Sotheby’s should do across the board. But in the contemporary category, the auction house might benefit from his network. While there were signs that Chinese money was in play on Tuesday, hedge fund types have an affinity for contemporary art. Steve Cohen of the former SAC Capital, for instance, is famous for his collection, which includes works by Damien Hirst and Jeff Koons. John Paulson, meanwhile, has a penchant for Alexander Calder. Loeb and his wife figured in ARTnews’ 2013 list of the world’s 200 most-active collectors. Now that the activist investor is on the Sotheby’s board, he can apply not just his smarts but maybe also his Rolodex to boost the firm’s presence in contemporary art. The evening sale of post-war and contemporary art at Christie’s New York on May 13 raised a record total of $745 million, beating the auction firm’s own record of $692 million set in November. In the sale, 68 lots were sold, the sell-through rate was 94 percent by lot and 10 artist auction records were set, including Barnett Newman’s “Black Fire I” for $84.1 million – the top lot in the sale – and Alexander Calder’s “Poisson volant (Flying Fish)” for $25.9 million. The equivalent sale at rival auction house Sotheby’s is scheduled for May 14. 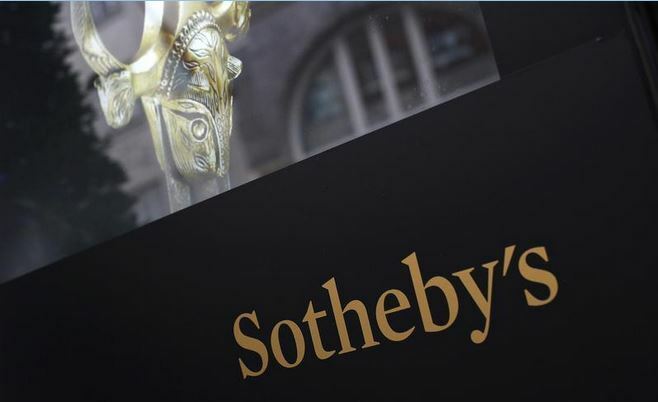 Sotheby’s on May 5 said it had reached agreement with hedge fund Third Point, founded by Dan Loeb, to increase the size of its board to 15 members in order to add Loeb and the activist’s two other nominees.